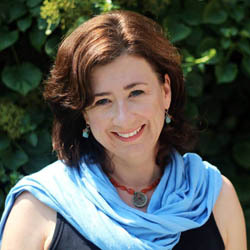 Alicia Isaacs Howes, founder of Your Soul Story and international soul connection expert, has explored thousands of Soul Stories with people all over the world for more than a decade. She is a former global management consultant from London, England who specialised. Her health crisis 14 years ago led to not only her own healing but a whole new way of looking at life as a healer, intuitive coach and teacher. With her intuitive insight and crystal clear guidance, she empowers her clients to start, expand and end all kinds of chapters in their lives. She focuses on helping her clients connect to their authentic self and let go of all the stuff that stifles their joy. Alicia sees her clients' potential and shines that back to them with love, light and often shared laughter too. She loves to connect through private sessions, classes and speaking events. As an audience member on Oprah with Laura Day (Practical Intuition) in 1996, her own intuitive gifts were revealed on global television. Now that's another interesting story!